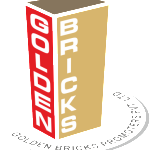 Golden Bricks Constructions Pvt Ltd was established in 1989 and is a leading name in the real estate sector. Their vision is to achieve professional excellence with accelerated pace. Their mission is to inculcate the human values and professional ethics in its representatives which not only helped us creating path but also good for the society and industry. Golden Bricks Promoters is known for its excellence while delivering residential projects in Panipat and Gurgaon. Golden Bricks is certified in accordance with the ISO 9001:2008 & ISO 14001:2004 International Quality System Standard. Sensing the Demand and Expansion of the Nation Capital Region, the Directors initiated to work in Gurgaon in 2004 and incorporated into a company named “M/S GOLDEN BRICKS CONSTRUCTIONS PVT. LTD.”, on 1st Day of September 2008. Since then Company’s exploring every possible potential & opportunity at its best. Some of their most well known projects include Empire State in Panipat along with Golden Floors and Golden Homez in Gurgaon. These projects are known due to their superior architectural design and exemplary features and amenities provided. Their location advantages are quite great as well.